Residents at Middleton Park Lodge in Leeds, West Yorkshire, were delighted to take part in their very own Mocktail master class! Karen Brooke, one of the Activity Co-ordinators brought in a variety of fruits, juices and other ingredients, ready to shake those Mocktail mixers and show residents how to make a refreshing and non-alcoholic alternative to traditional cocktails. “Residents were intrigued as to how to make the Mocktails, as most of them had never even heard of them. 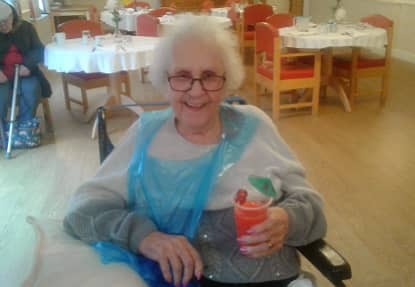 We made some delicious Cranberry Coolers and Strawberry Daiquiri’s”, commented Karen, Activity Co-ordinator at Middleton Park Lodge. “It was a fantastic way to open up discussions with the residents, discussing all of the different flavours they could taste and textures they could feel”, Karen added. After the day was done, it was time for residents to kick back, relax and enjoy the refreshing taste of their hard work. Cheers!